1. 1.Find and tap the Settings icon in your app screen. 2. 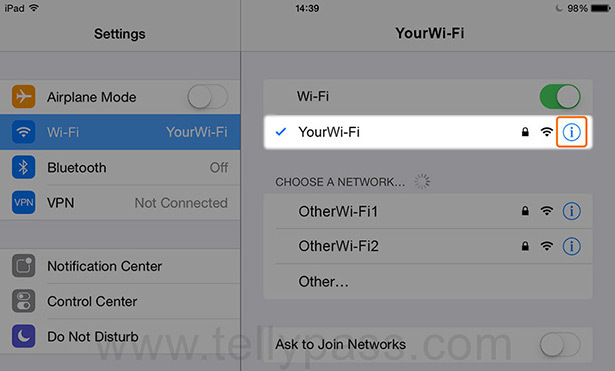 2.Then tap on the Wi-Fi option. 3. 3.Tap on the information icon (i) next to the active Wi-Fi connection. 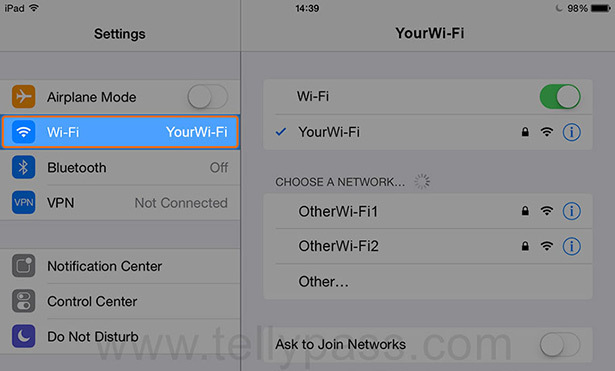 Hint: If you are using iOS 6 or older, then tap on the small blue arrow next to the active Wi-Fi connection. Please login to see the proxy URL. Hint: Make sure you enter the proxy URL correctly with no missing and no extra characters. If the URL is incomplete TellyPass will not work on your device.